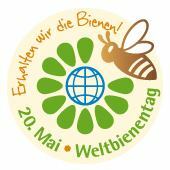 because today is World Bee Day (by the United Nations) the lovely Milka asked us to join her BlogHop for the Bees. Such a lovely idea! Außerdem könnt ihr bei diesem Hop auch was gewinnen. Diese tollen Preise wurden uns gespendet. 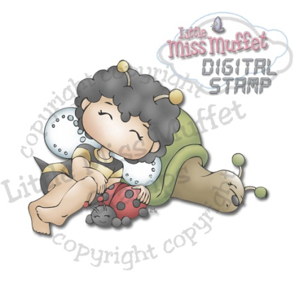 Milka is also giving away Jane’s Doodles ‘Garden Friends’ stamp set to two lucky winners. 18 prizes will be given away to 18 winners. Das Gewinnspiel (via Inlinkz) endet Montag, 11 Uhr. 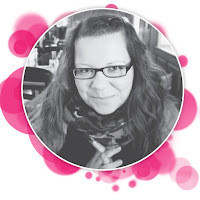 Die Gewinner werden am Tag danach auf Milkas Blog bekannt gegeben. Inlinkz closes tomorrow, May 21st 2018, 11:00 PM CEST. 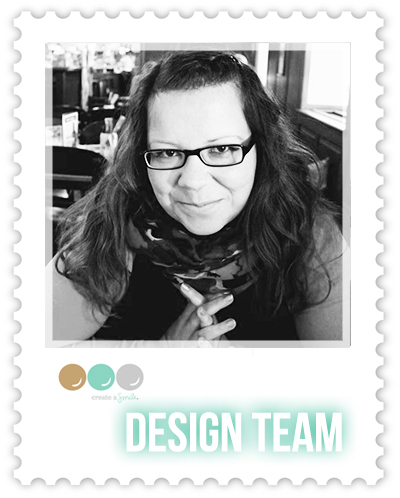 Winners’ names will be announced on Milka’s blog next day. Dann viel Spaß beim Hüpfen und viel Glück beim Gewinnen. I love the detailing through splatters made it more beautiful with adorable happy bees! how pretty! Love your coloring and all the splattering...perfect. This is so cute and I love the added purple on the flowers! Awww how cute is that, such a lovely and happy design! This is beautiful and so serene! Perfect setting for your adorable bees!! Birka your card is really pretty and sweet!!! This is so cute! Great pairing of your one bee with those sweet flowers! Lovely card with adorable bees!!! Details and colors are amazing. Love it. This is adorable!! I LOVE the colors that you used on this. This is STUNNING!! WOW ! Such a lovely card, Birka ! I love the gorgeous background you've done for these cute bees. Gorgeous colours and wonderful design. Very eye-catching card ! Thanks so much for sharing and for inspiring. 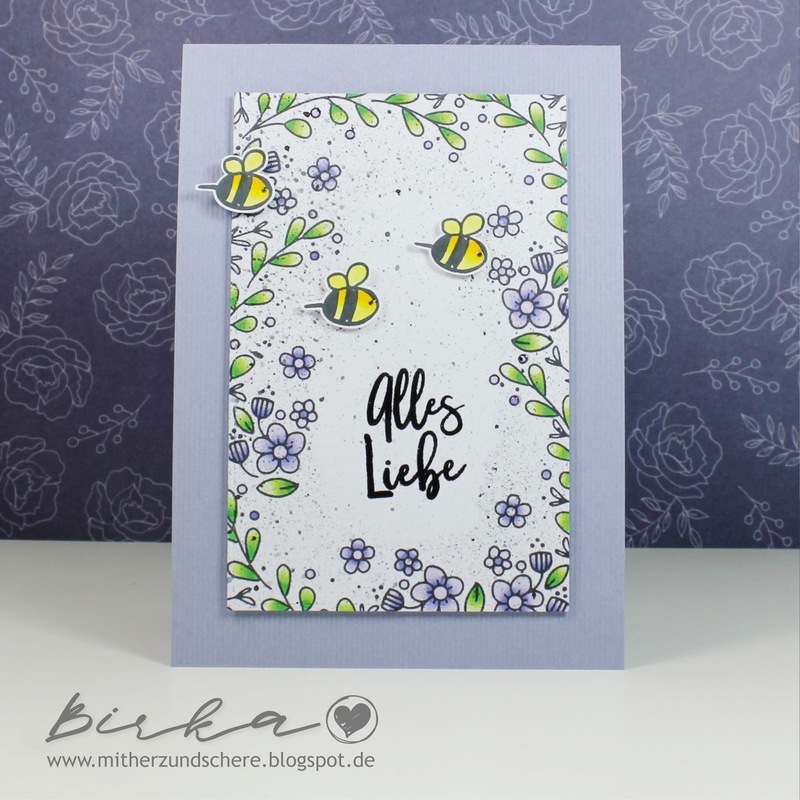 Your card with the beautiful flowers and the wonderful bees makes me happy! I love your card! 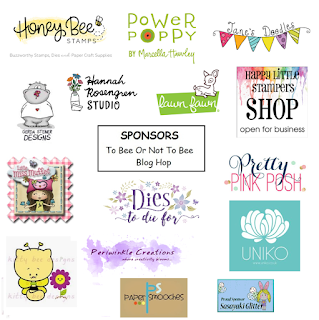 Thank you for supporting the Save the Bees cause! the soft colors speaks spring and happy. Love those cute bees and the pretty border! Sweet card! Such a pretty card! Love the colours you used. Aww.. this is so lovely.. you have a garden to attract the bees.. a beautiful garden! Loved your flower panel with bees around,Adorable card!! Was für eine wundervolle Karte, großartig! Love the purples and yellows together!! Gorgeous card! Ooohhhh... Adorable card! Love the colors and the sweet design! 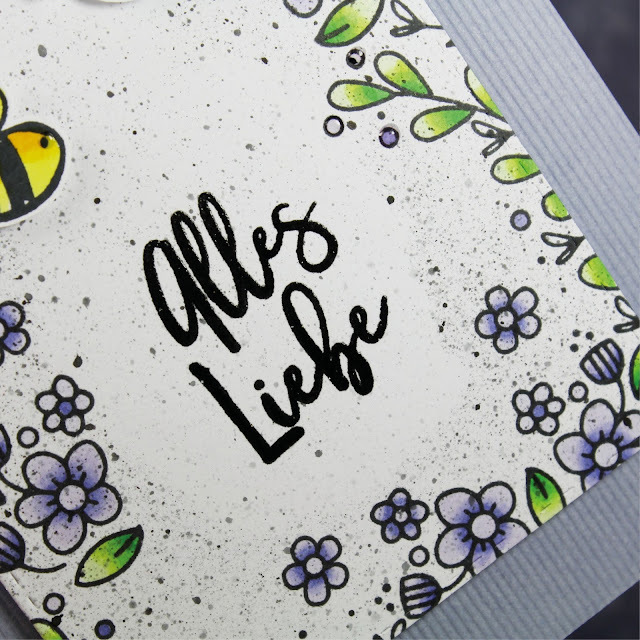 I love how you stamped the leaves around the edges and colored your cute little bees! This card is just too sweet! I love the sprinkles in the background and the bees buzzing by! This is so colorful and pretty card. Eine wonderschöne karte haben Sie gemacht und dass mit nur eine Biene stempel.....super. I love the floral background...beautiful! Beautiful card, love the colouring! Oh this card is so pretty. 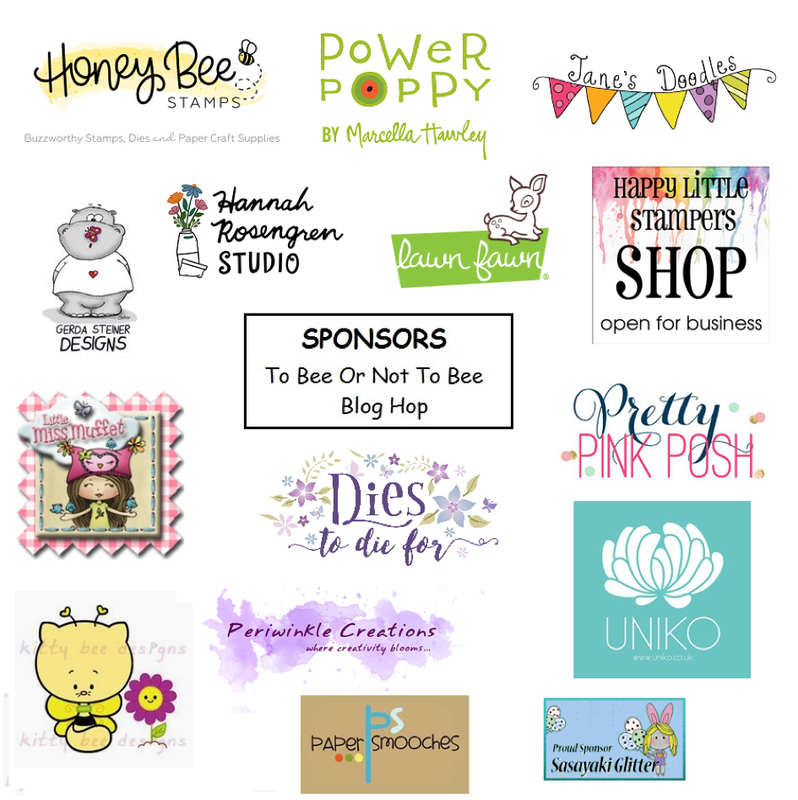 Love all the purple flowers and you’re so right one little bee stamp did you proud! Birka, this card is cute! And floral background is pretty! 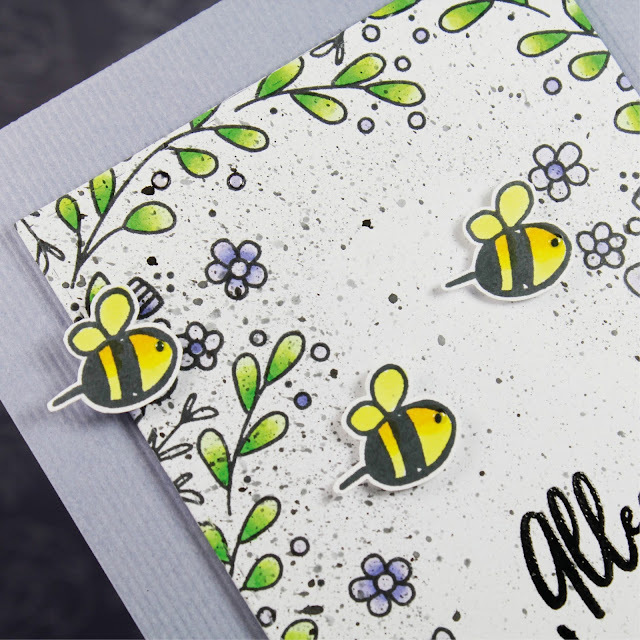 Such a pretty bee card surrounded by flowers! Very pretty with the flowers and the bees. Fantastic card, so cute and adorable! Happy garden with flowers and little bees. Love it, it's so pretty!